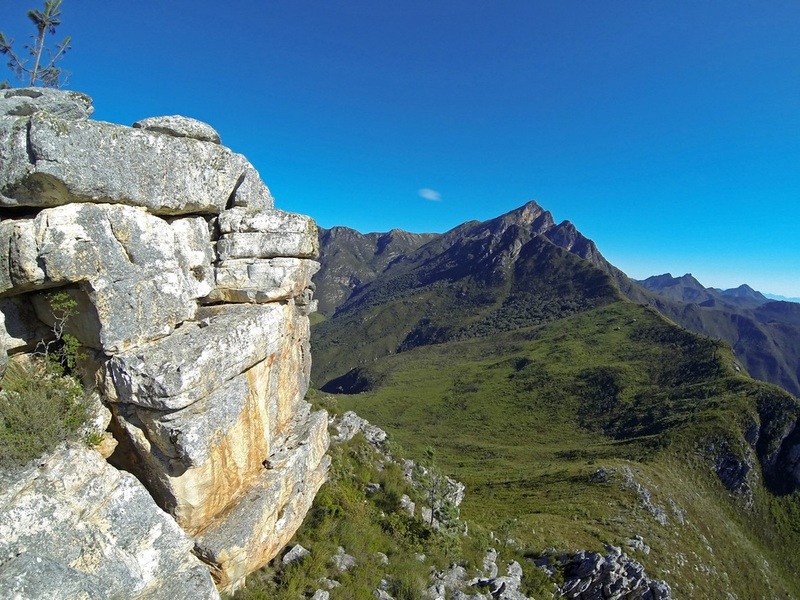 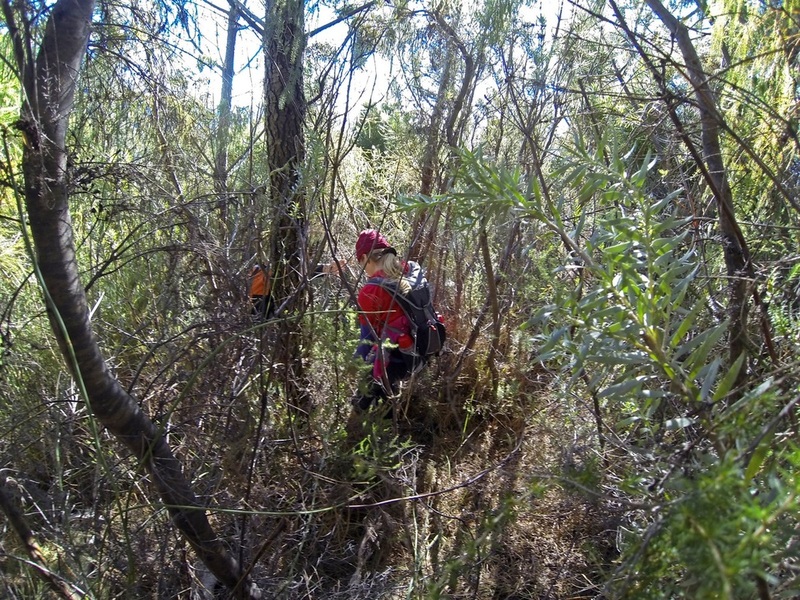 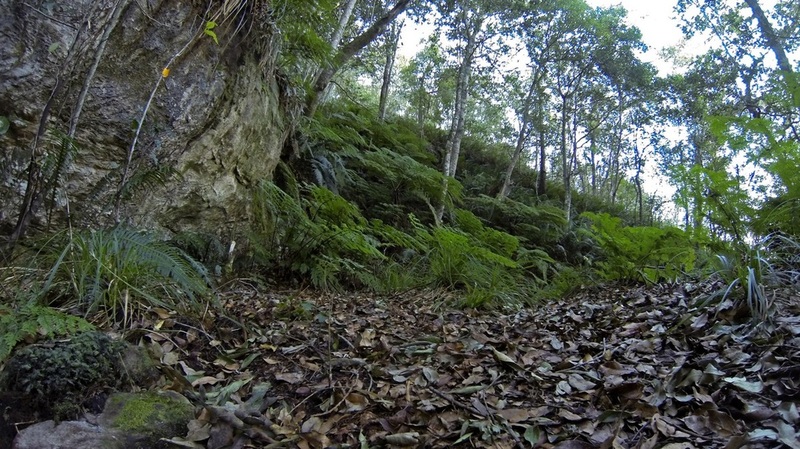 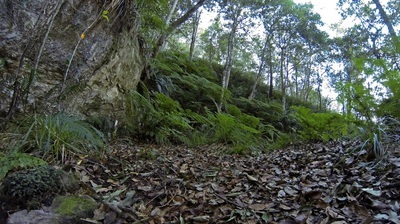 This is one of the most open areas to explore in the Outeniqua mountains. 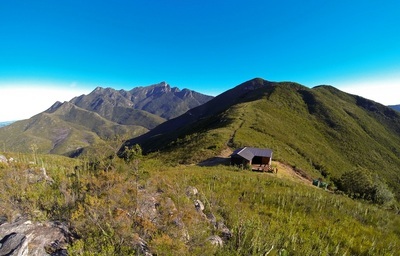 You can access this are of the Outeniqua mountain from Saasveld or Witfontein Forestry Station and there are many paths in the area to walk. 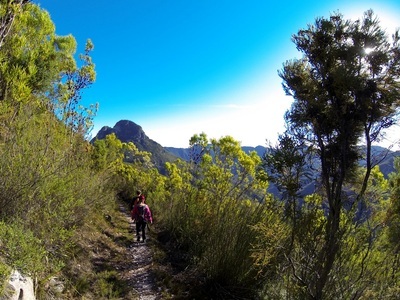 This particular path starts at Saasveld or also known as the Nelson Mandela Metropolitan University (NMMU) Saasveld campus. 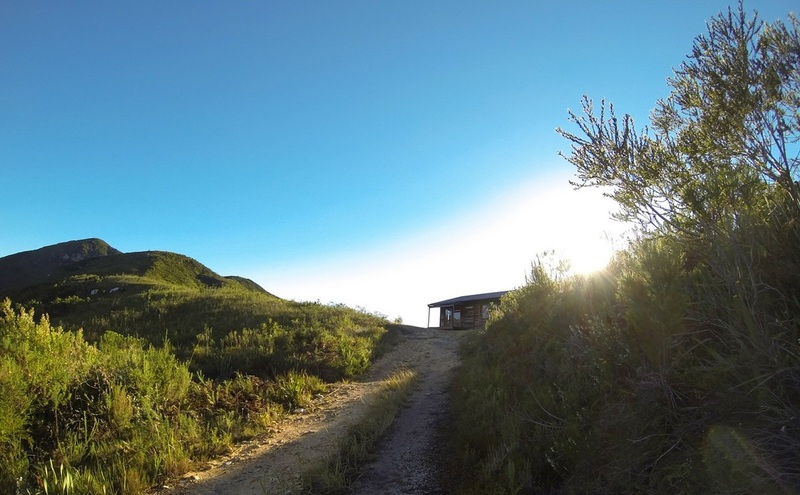 Follow the path up to the Tierkop Hut and then continue further up the mountain. 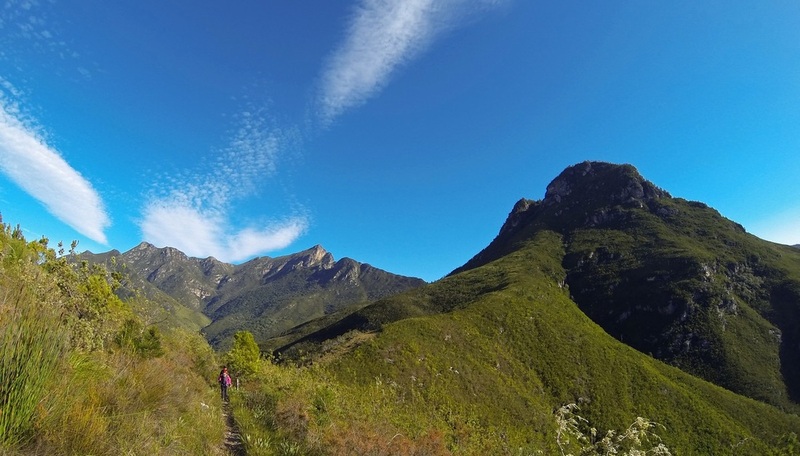 This path eventually passes Skurwekop (sometimes called Kransberg) and then continues over the Outeniqua mountains. You can follow this path all the way to Herold or to were it joins the top of the Montague pass. 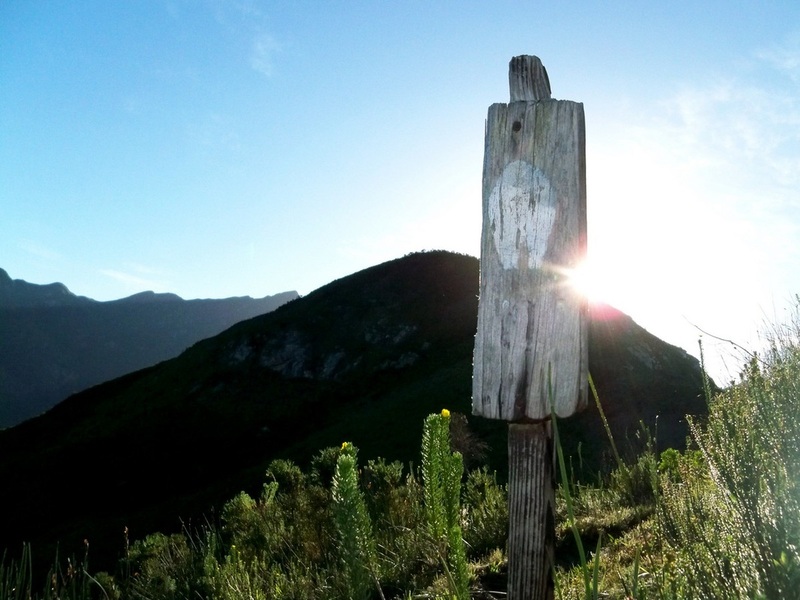 You can turn around and return to Saasveld at any time if you have walked far enough or you could walk down either the Montague pass or the old Ox wagon pass and end at Witfontein Forestry Station. 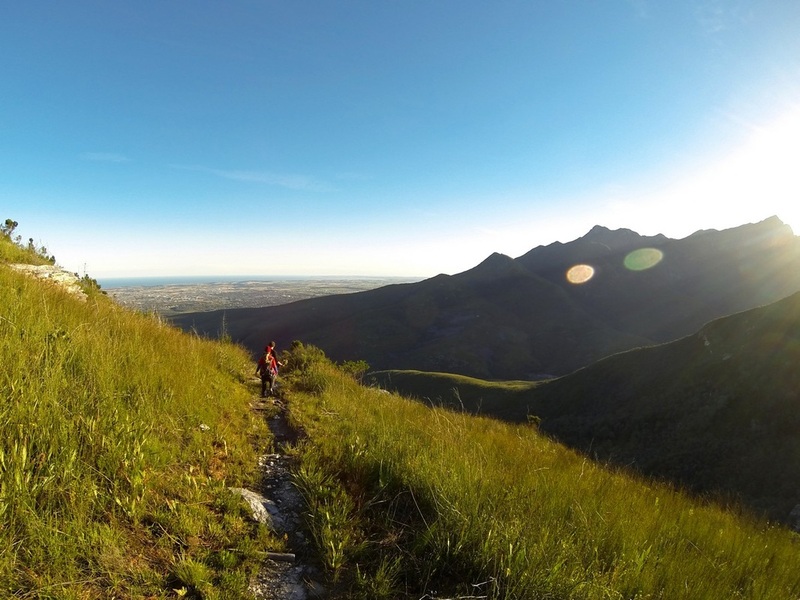 You would need to arrange transport if you would like to do this as Witfontein and Saasveld is a distance appart and even then this route will be around 30km. 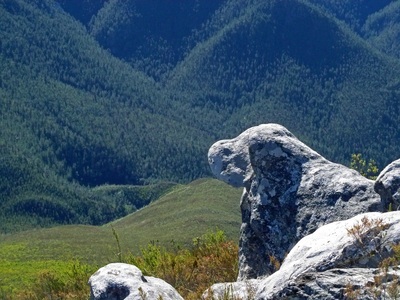 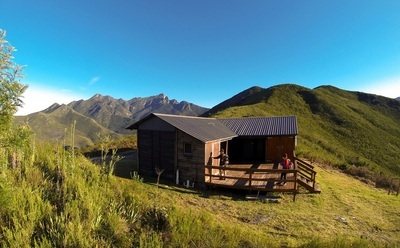 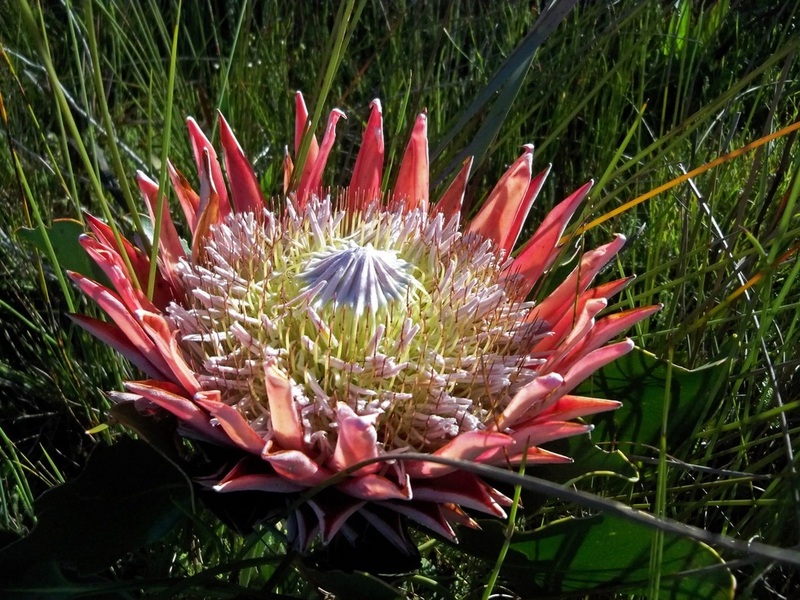 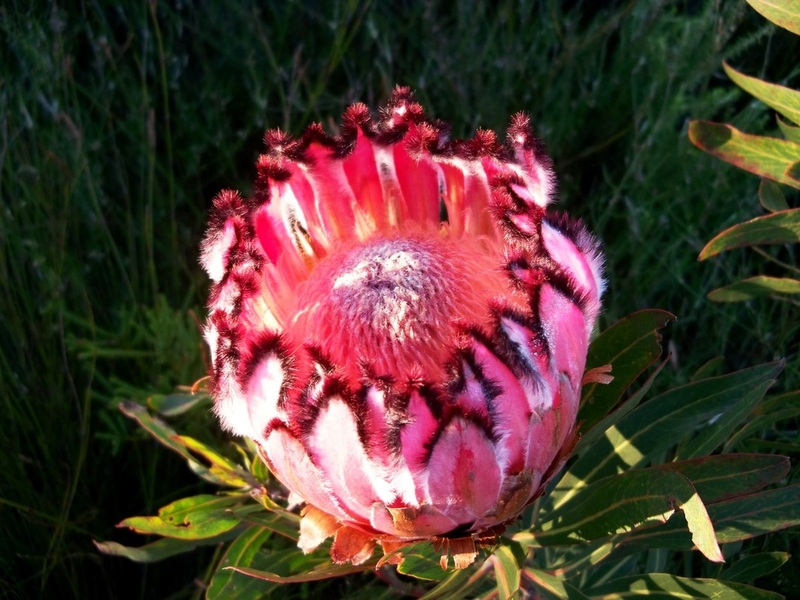 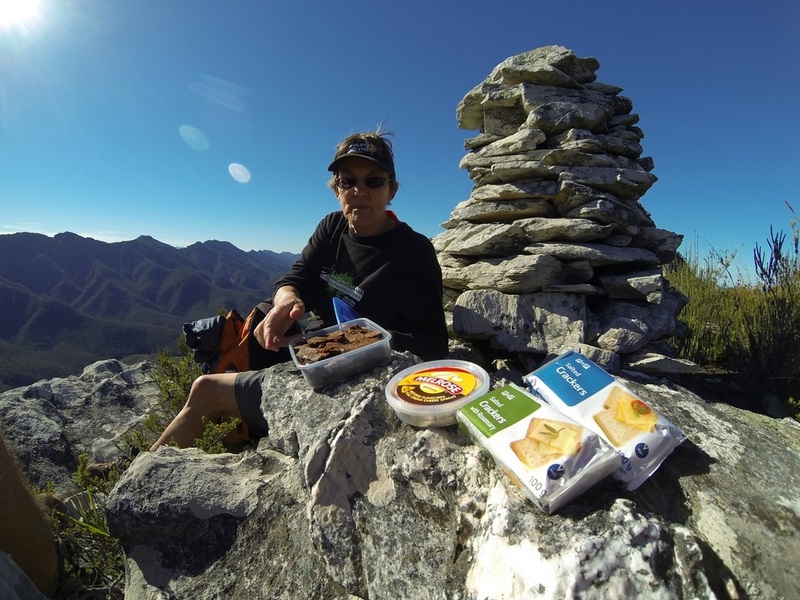 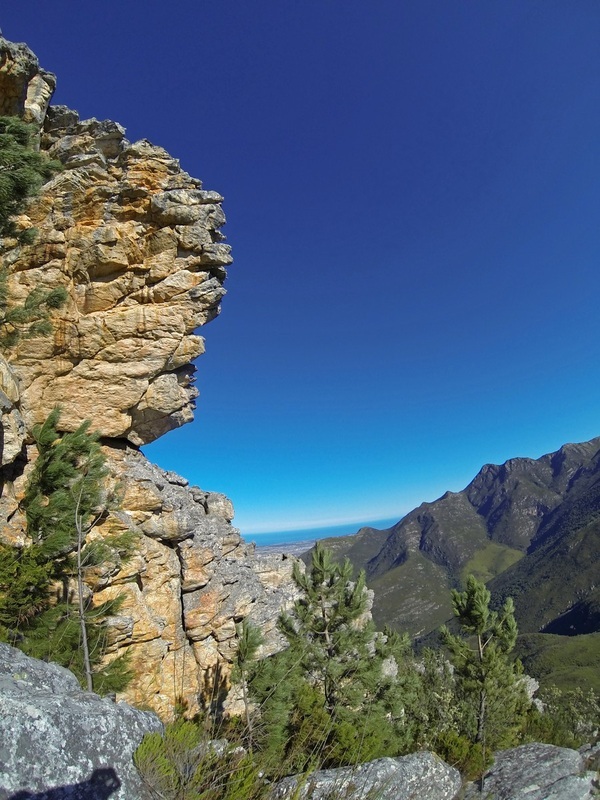 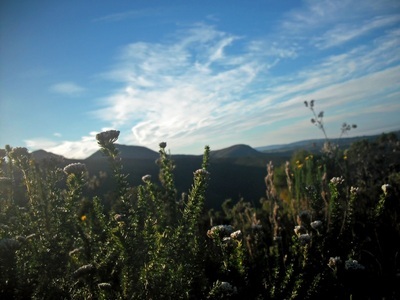 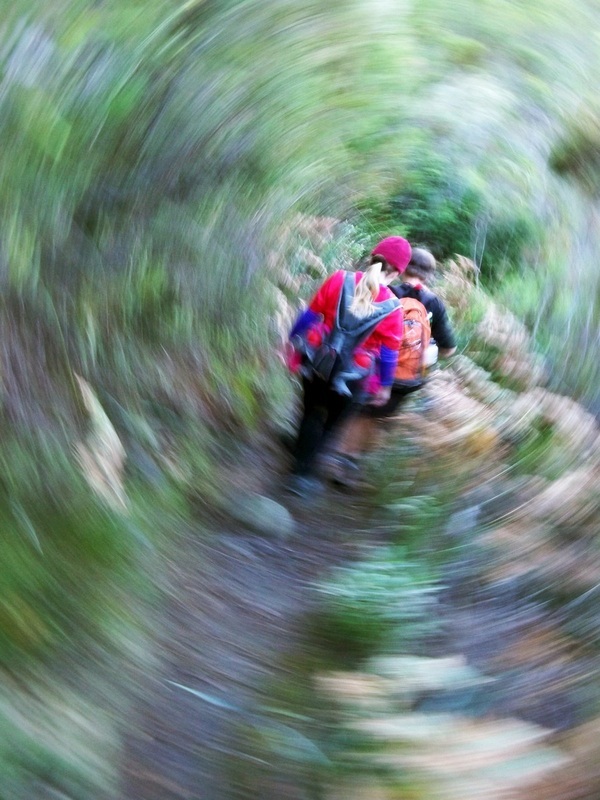 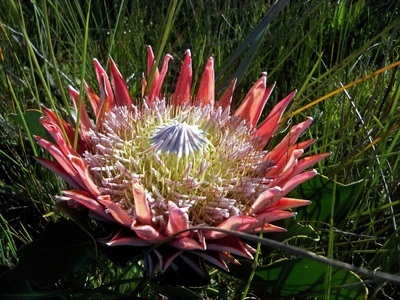 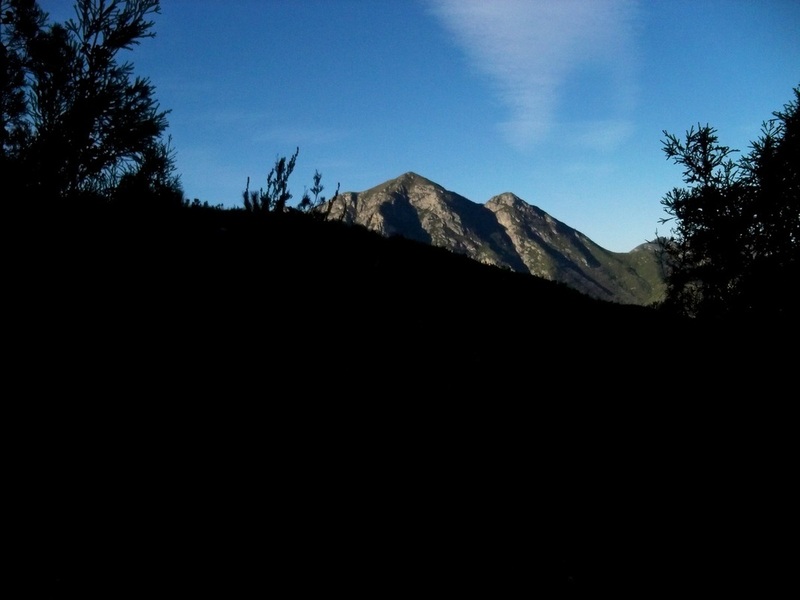 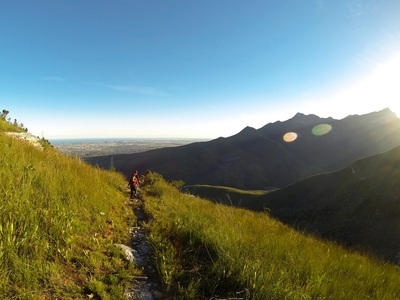 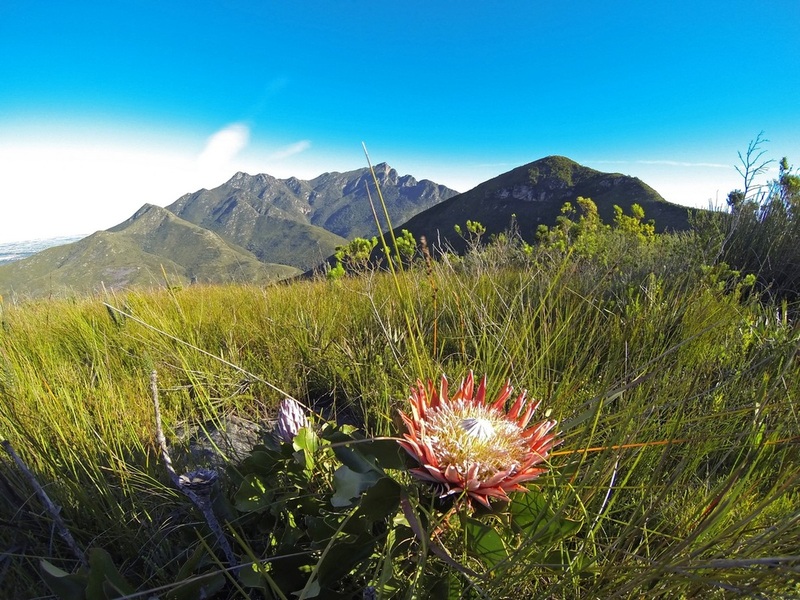 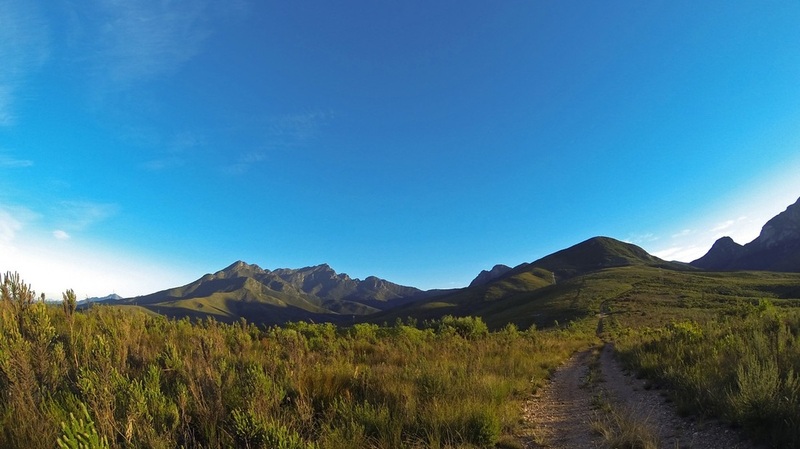 Start early, remember your camera and enjoy the day exploring the Outeniqua mountains! 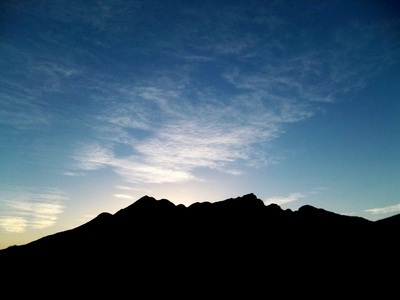 Distances: As far as you want to go. Directions: The start is at Saasveld (also known as NMMU George) along the old George-Knysna road. 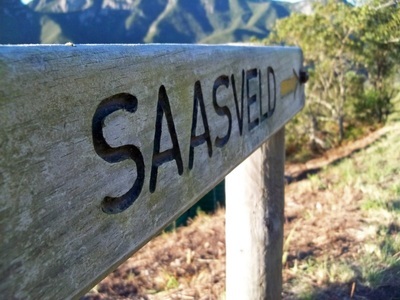 After entering Saasveld follow the Tierkop signs to the far end of the campus and park at the student accommodation. Other: Take enough water and food as there is none along the way. 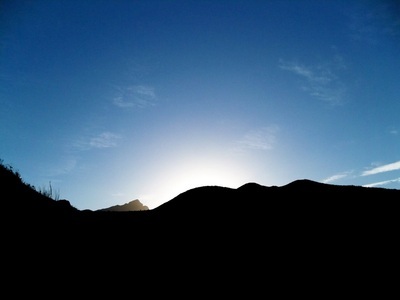 Remember sunscreen as you will be in the sun most of the time.